How does the quality of apartments affect their rentability in Brisbane? With a glut of apartments on the market in Brisbane, investors in this market don’t have scarcity on their side. In fact, the large number of properties still coming out of the ground will flood the already saturated market dampening capital growth and rental growth for the next few years. Therefore, it’s even more important than ever to invest in high-quality dwellings that will attract good, long-term tenants. In recent years, interstate and overseas investors have been taking big risks speculating in the Brisbane new and off the plan apartment market where values of completed apartments have been coming in significantly below their contract (purchase) price. Worse still, this market is flooded with poorly built developments. For investors, this means that the power is in the tenants’ hands — so you need to make sure your property meets their expectations, or you risk grappling with extended vacancies. Favourable conditions for investors and developers following the GFC led to an apartment boom in Brisbane, with approvals for non-house residential accommodation skyrocketing between 2013 and 2016. The vacancy rate has been climbing, particularly in the inner-city suburbs, causing problems for Brisbane property investors. Meanwhile, some investors are getting the hint, meaning developers are discounting or giving away bonuses, desperately trying to clear their stock. Don’t get lured – a secondary property will always be a secondary property. 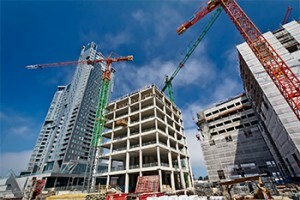 So, for those considering investing in this market, what makes a quality apartment investment? Larger apartments are more popular, especially for flatmates sharing with friends, and having a third bedroom is an additional selling point. If you need to sell down the track, owner-occupiers tend to prefer more spacious apartments and steer clear of cramped dwellings, so a bigger floorplan will increase your target sales market considerably. While pools and gyms are often on the wish list of young professional renters steer clear of buildings that offer these amenities as they mean considerably more expensive body corporate fees. It goes without saying that a hastily built, low-quality apartment will fail to attract good tenants. It will also fail to attract a buyer when you come to sell down the track. 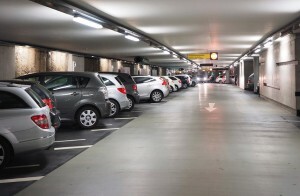 Especially for larger apartments where two or three tenants will be sharing the place, multiple car parks are a must. Unlike cities such as New York, where apartment dwellers tend to rely on public transport, in Brisbane the car is still the main method of transportation, even for those renting apartments. Avoid the soulless high-rises that look out onto other grey buildings. A pretty view of a tree-lined street, the city skyline or the river may cost a little more, but it will help to draw tenants in. Anything that has an office block as a nearby neighbour is a no-go. Instead, look just outside the CBD for suburbs that gentrifying and growing in appeal. If you must buy in the inner city, try to find a building with a little character, rather than one that resembles a big, ugly box. This is one of those scenarios where the smaller the better. In fact, if you can snap up an apartment in a complex of 12 or fewer, that would be ideal. 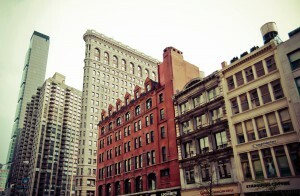 For a start, the more apartments there are, the more complex body corporate meetings and decision-making becomes. Also, boutique complexes create a sense of exclusivity, as opposed to large high-rises with hundreds of tenants. Older, established apartments in suburbs like Ascot and Hawthorne. Newer builds in Camp Hill and Holland Park. 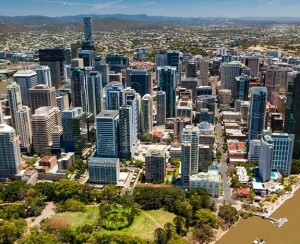 Large developments close to the CBD, in areas such as Paddington and South Brisbane. Oversupplied middle-ring suburbs including Lutwyche and Kelvin Grove. Suburbs on the big banks’ lending black list, like Brisbane City and Woolloongabba. Can Brisbane become the next Los Angeles or San Francisco? — Scooter anyone? What’s ahead for the Brisbane property market in 2019?